If you like being active, love the great outdoors, and live to explore new places, Bhutan is an ideal travel destination for you. But, there’s more than one way to experience these things in Bhutan. You can go on a challenging multi-day trek or enjoy a more relaxed walking holiday, where you combine sightseeing with time spent on the trails and in the villages of rural Bhutan. Read on to find out more about the two different kids of experience, and which would be best for you. First things first—if you like to walk but don’t necessarily want to trek, a walking holiday is a great compromise. Older travellers, families with kids or teens, or those short on time in Bhutan typically enjoy a walking holiday over a trek. Visit ancient monasteries, including the miraculous cliff-hugging Tiger's Nest, and picturesque off-the-beaten track villages. Learn about Bhutan's unique culture and traditions from your guide (all travellers in Bhutan must travel with a guide). Begin in the beautiful Paro Valley. Stay in a charming Bhutanese-style hotel located on the edge of a forest. Wake up to breath-taking views of Himalayan peaks from your rustic villa. Drive across the Cheli La Pass at 3,810 metres to the picturesque Haa Valley, where you’ll stay in a family-run heritage lodge. Explore the valley on foot in this fabulous off-the-beaten-track location. From Haa, drive to Thimpu, one of the world’s smallest capital cities, and the only one in the world without traffic lights! 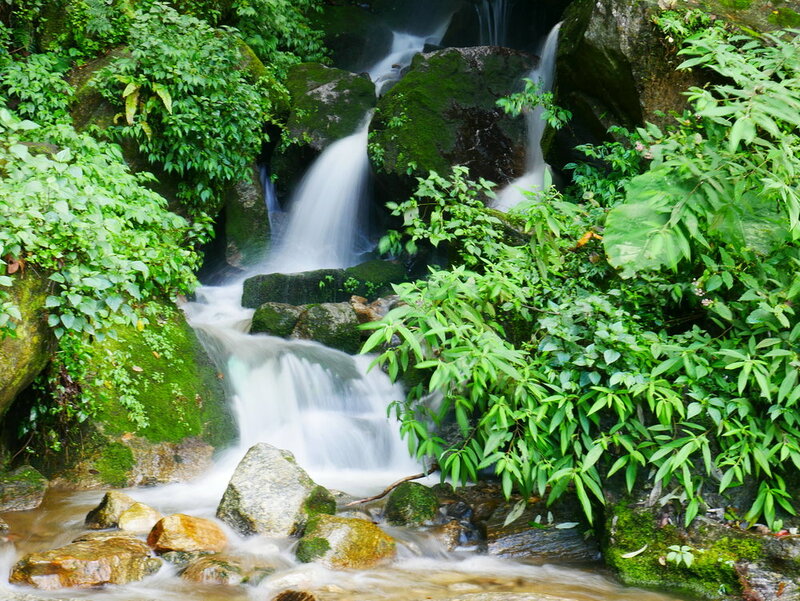 Combine city sightseeing with some interesting hikes around the Thimpu Valley. Continue the journey via the scenic Dochu La Pass, offering stunning panoramic mountain views, to the fertile Punakha Valley for a two-night stay. Hike across the fields to the Chimi Lakhang monastery, one of the most revered temples in Bhutan, before visiting the magnificent Punakha Dzong. At the confluence of two rivers, this monastery was built in 1637. The following day, hike to the beautiful Khamsum Chorten, the old hilltop temple at Giligang, and Punakha Dzong. Experience stunning views of the valleys on both the Mo Chhu and Po Chuu sides. Return to Paro for the Zuri Dzong hike. This is a leisurely two-hour hike through forests to Gonsaka Lhakhang and Zuri Dzong, with wonderful views over the valley. Zuri Dzong dates from 1352 and is home to the valley’s local protector gods. Before leaving Bhutan, visit Taktshang Monastery (Tiger’s Nest), Bhutan’s most famous and iconic landmark. A hike up through blue pines, passing water powered prayer wheels, leads you to this monastery clinging miraculously to a sheer cliff. The views are magnificent over the Paro Valley, and the only sounds are prayer flags blowing in the wind. If you want something more challenging and remote than a walking holiday but don’t want to commit to weeks or camping, the Sagala Short Trek can be done alone, or added on to a walking holiday or sightseeing tour. The two or three-day trek travels from the Haa Valley to Paro. Camp in comfort in peaceful valleys surrounded by dense forest and rhododendron, under the shadow of towering peaks. Walk through quaint villages forgotten by time and past remote hermitage retreats, befriend yaks, and reflect on your inspiring journey beside a still alpine lake. If you want something more than a jaunt in the countryside, consider a ‘proper’ trek. Unlike in neighbouring Nepal, there is less infrastructure for trekkers in Bhutan, so it’s necessary to camp most of the way. Travelling with guides and porters allows you to relax as you walk, knowing that all your needs—and safety—are taken care of. 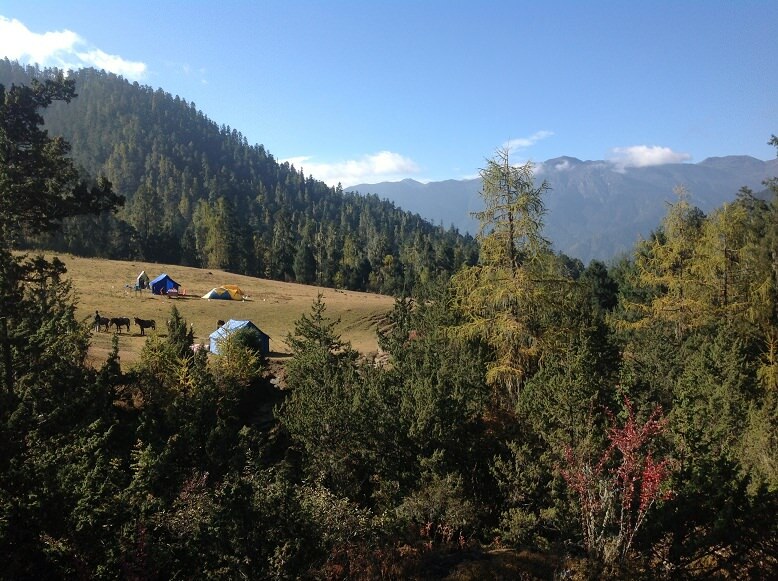 The five-day Druk Path trek is one of Bhutan’s most famous. It highlights the great diversity of the Bhutanese landscape. It passes through a gorgeous landscape of blue pine forests, high ridges and pristine lakes. There’s also the opportunity to visit ancient dzongs and villages. The eight-night Jomolhari trek is Bhutan’s most famous. It highlights the great diversity of the Bhutanese landscape. Enjoy fabulous views of snow-capped mountains and walk through thick pine forests and alpine meadows that lead to high yak-grazing pastures. Rated as one of Bhutan’s most spectacular, the 13-night Laya Gasa trek takes you to northern Bhutan’s border with Tibet. Enjoy fabulous views of snow-capped mountains and experience the unique culture of the friendly Layap people in a truly remote corner of the Himalayas. If you’re planning this trek in October, don't miss the annual Royal Highlander Festival that takes place in Laya. See the local people showcasing their unique culture over a two-day event in the remote countryside.